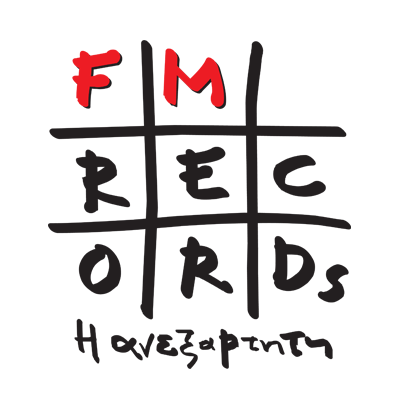 FM Records is one of the largest and most important independent Greek music labels. It was founded in the late 80s and has perhaps the most versatile musical back catalogue in the country, which includes famous Greek composers (Mikis Theodorakis etc. ), traditional repertoire (rebetika, folk, music from the islands, ancient Greek music, etc. ), electronic music (Stereo Nova etc. ), hip hop (Imiskoumbria, Going Through, Terror X Crew etc. ), Greek pop & rock (Endelehia, Ipogia Revmata etc. ), world music (Nicos, Vasilis Saleas, Goran Bregovic, Vangelis etc.) as well as many recent releases by young and talented Greek artists. Mikis Theodorakis (born 29 July 1925) is a Greek songwriter and composer who has written over 1000 songs. He scored for the films Zorba the Greek (1964), Z (1969), and Serpico (1973). He composed the “Mauthausen Trilogy” also known as “The Ballad of Mauthausen”. 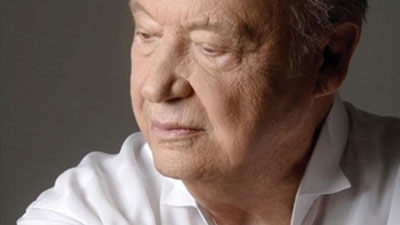 He is viewed as Greece’s best-known living composer. He was awarded the Lenin Peace Prize. 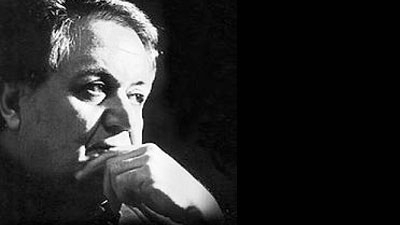 Manos Hatzidakis (23 October 1925 – 15 June 1994) was a Greek composer and theorist of Greek music. He was also one of the main movers of the “Éntekhno” song (along with Mikis Theodorakis). In 1960 he received an Academy Award for Best Original Song for his song Never on Sunday from the film of the same name. 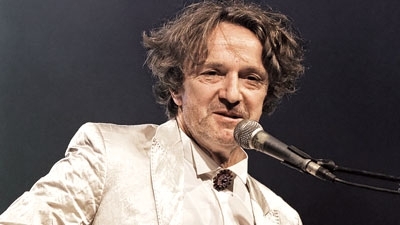 Goran Bregović (born 22 March 1950) is a Yugoslav musician and one of the most internationally known modern musicians and composers of the Balkans. Bregović’s compositions, extending Balkan musical inspirations to innovative extremes, draw upon European classicism and Balkan rhythms. 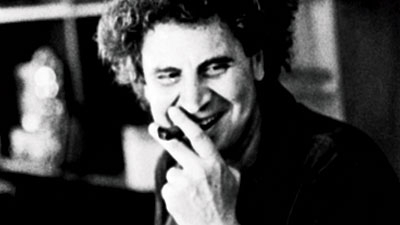 Bregović’s music carries Bosnian, Bulgarian, Croatian, Greek, Romani, Romanian, Serbian and Turkish themes and is a fusion of popular music with traditional polyphonic music from the Balkans, tango, and brass bands. Mimis Plessas (born October 12, 1924) is a Greek composer born in Athens. He began his career in 1952 and has since written music for over 100 films, television and radio programs, and theatrical events. He has worked with such notable Greek singers as Giannis Poulopoulos, Marinella, Rena Koumioti and lyricist Lefteris Papadopoulos. Plessas combined the traditions of entehno and laïkó with considerable success making a notable his own style. 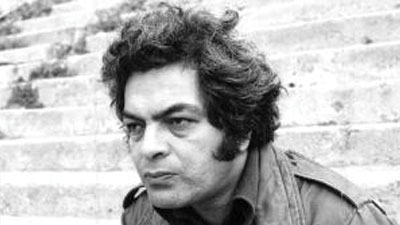 His composition work O Dromos in 1969 (The Street) still remains the work with the most sales in the history of the Greek discography. Manos Loïzos was considered to be one of the most important Greek Cypriot music composers of the 20th century. 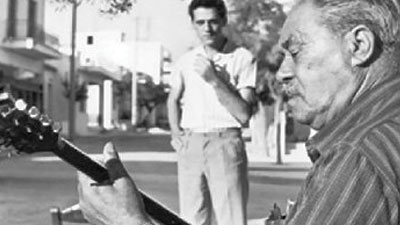 Vassilis Tsitsanis (18 January 1915 – 18 January 1984) was a Greek songwriter and bouzouki player. He became one of the leading Greek composers of his time and is widely regarded as one of the founders of modern Rebetiko and Laiko music. 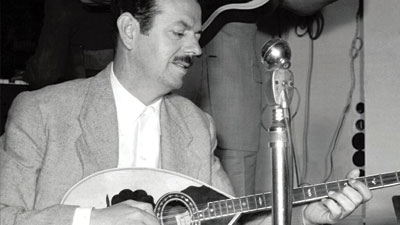 Tsitsanis wrote more than 500 songs and is still remembered as an extraordinary composer and bouzouki player. Márkos Vamvakáris (10 May 1905 – 8 February 1972), was a rebetiko musician. He is universally referred to by rebetiko writers and fans simply by his first name, Márkos. The great significance of Vamvakaris for the rebetiko is also reflected by his nickname: the “patriarch of the rebetiko”. 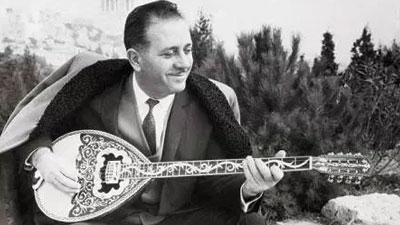 Giorgos Zampetas (25 January 1925 in Athens – 10 March 1992 in Athens) was a well-known bouzouki musician. His origins are from the island of Kythnos. 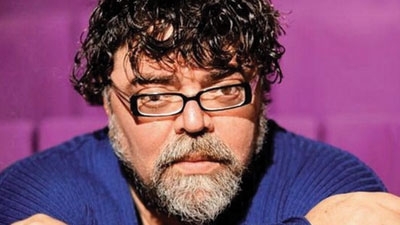 Stamatis Kraounakis is a Greek music composer, music producer, lyricist, writer and director. He was born and lives in Athens and has studied Political Science in Panteion University. He has composed music for more than 40 albums and 50 theatre plays. 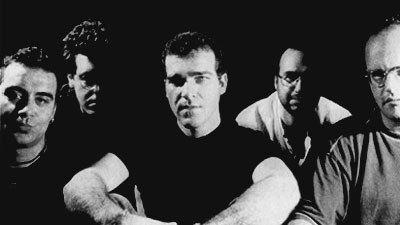 Stereo Nova was formed in the early 1990s by Konstantinos Vita, Michalis Delta. 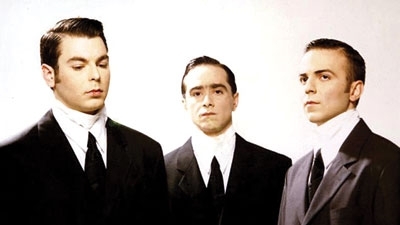 Stereo Nova are widely recognized as dance and electronic music pioneers in Greece. Their music blends a wide array of urban and electronic influences. Their poetic and socially conscious lyrics are delivered through a mix of rapping and recital. Ypogia Revmata is a Greek rock band. 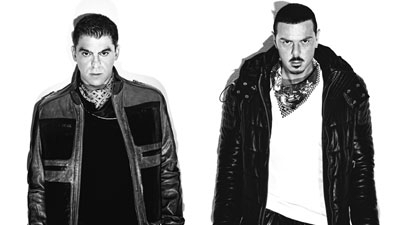 Goin’ Through is a Greek hiphop-rap band composed by Nikos Vourliotis and Michalis Papathanasiou. It was the first urban bands signed to major record company in 1994. They became immediately known rearranging the familiar song of Peloma Bokiou “Garyfale Garyfale” featuring Vlassis Bonatsos. 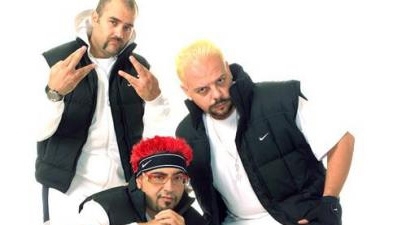 Terror X Crew, or otherwise known as TXC, was one of the first popular Greek hip-hop group known for its political lyrical content. 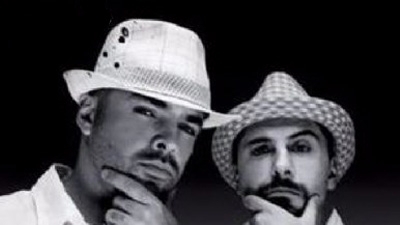 The band formed in 1992 by MCs Artemis and Efthymis and DJ ALX and disbanded in 2002. Imiskoumbria, also known as Imiz, is a comedy hip hop group from Athens, Greece. The group’s roster has been the same since its inception in 1996. Imiz members include rapper Dimitris Mentzelos, Mithridatis and DJ Pritanis. They are widely credited for the establishment of hip-hop within Greek music show business.